Now you can bring Google Street View technology inside your theater or other performance venue, giving patrons a wonderful sense of your unique space. Online virtual tour viewers can check out the theater lobby, box office, piano bar, and sample views from inside the theater. With 360-degree Google Street View and HDR (High Dynamic Range) photography, users can fully appreciate the ambiance and decor of your theater, encouraging interest and ticket sales. 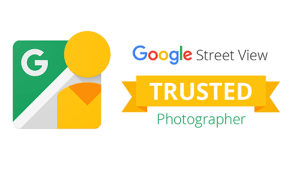 A Google Street View | Trusted virtual tour is a powerful and immersive way to feature an historic theater using the latest technology. Google Virtual Tours are equally adept at showcasing all the amenities of the latest theaters to your prospective patrons. Contact us to get a free quote for a Google Virtual Tour of your special theater!